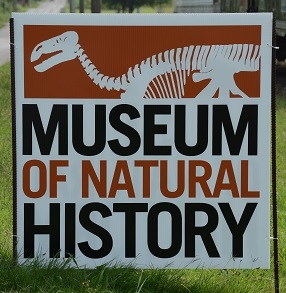 Did you know that Murfreesboro has a museum of natural history? It's been well kept secret, but it's no longer a secret. There are rooms full of dinosaurs, fossils, rocks, minerals, and other items of natural history. There is a fossil preparation room, and rooms for teaching classes in lapidary. There are items setup for kids, so they can touch and feel. The museum is open to the public. Groups can be scheduled to visit the museum. Check with the museum for larger groups. The T-Rex Skeleton is almost complete!